It’s a well-known fact that many single women over 60 are heading into retirement with very limited funds. Some of the reasons are – less time in the workforce due to raising children and caring for elderly parents, lower salaries than men, more women in part time and casual low paid work. The end result is that after a lifetime of work there are a large number of especially single women, with not enough in their superannuation to give them financial security. To add to this problem, single women in their 50s & 60s with some savings, have a low priority for social housing and could be waiting for up to 10 years to be eligible for a house /unit. As a result of all these issues, the 2016 census showed an increase of 9.5% in the number of homeless women over the last 5 years. Clearly we have a serious problem! In recent years, governments, councils and community groups have started to respond to this issue. 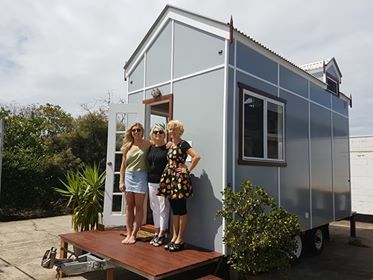 One step in the right direction has been to remove or revise many of the town planning restrictions on building granny flats in back yards and these dwellings are now appearing in many towns and cities. A relatively new option is the “Tiny House” solution. What is it? As the name suggests, it’s a very small, self- contained house on wheels, which can be moved if and when necessary. Unlike a caravan, tiny houses are designed to be permanent dwellings for single people. They can be moved into back yards and connected to the water, sewerage and electricity services. It’s also likely that we will start to see tiny house villages appearing in some communities over the next few years. While prices vary depending on size and the fittings the buyer requires, it is possible to purchase a tiny house for around $100,000. For this money a person achieves that wonderful feeling of security that comes with knowing that you own a home and you’re not at the mercy of the rental market. It’s yours and you can have pets and visitors if and when you want. Now this isn’t a “silver bullet” solution to homelessness for single, older women, but it is a new and interesting option that would suit some people. While I have focussed on single, older women, it’s worth noting that these tiny houses have many other potential users. Here are a few possibles – bedrooms for teenagers, holiday cabins, granny flats and even Air B& B rentals. ← Could you handle a domestic revolution?